Maybe you’ve noticed, maybe you haven’t… but there have been some changes around here. Let’s start with the name-change: Tessie’s Projects is now Confetti In Your Face. Aspiring to colour the world a little bit brighter. 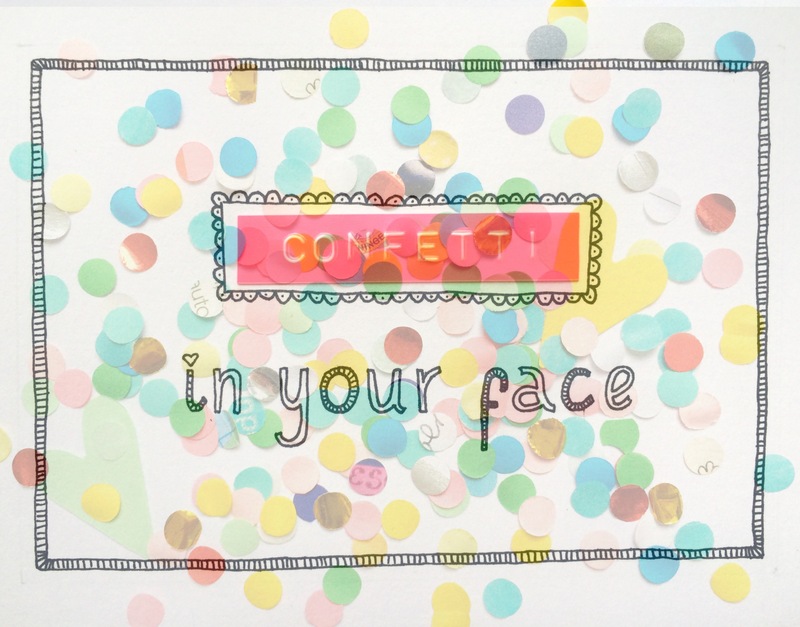 That’s exactly what you can expect from Confetti In Your Face’s products and writings! You can click here if you’re curious for more about me and Confetti In Your Face, the mission and dreams. Secondly: new card-designs have arrived – four of them! They are very ready to travel all over the world. Will you help them on their way? The new cards (and of course the old, too) are now available in my Etsy-shop which is fully stocked. And from Tuesday onwards the new cards will also be available at TOON in Amsterdam. If you think more people can use some Confetti and colour in their faces – or lives – you know where to send them!